Refined Carbs: Are They Our Worst Enemy? Sometimes simple, but often complex—understanding carbs can be complicated. Find out the raw truth about refined carbs and whether you should keep them out of your diet altogether. Refined carbs, like white sugar, were whole food complex carbohydrates once upon a time, but then became processed and stripped of their nutrients by the food industry. You’ve heard it before—food is fuel. The energy we get from food comes from three “macronutrients”—protein, fat and carbohydrates. Food also provides us with about 40 micronutrients: vitamins, minerals, fiber and phytonutrients (plant chemicals). 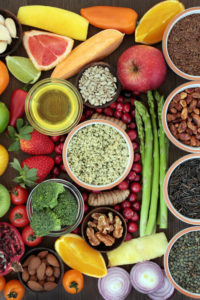 Nutrients work together (nutrient synergism) and a diet rich in a variety of whole food fruits and vegetables is mandatory for antioxidant and anticancer activities. If we receive less than what we need with respect to our nutritional requirements, we run the risk of compromising our health and ability to function properly. The same is true of getting too much of any one macronutrient. Despite our understanding of the health implications of diet high in carbohydrates (which has led to an interest in low-carb diets such as paleo and keto), the Western diet is still overloaded with refined carbs. As a result, a large number of Americans are paying the price! Baked goods such as breads, pastries and bagels are high in starchy carbohydrates, but contrary to what many people believe, they’re not the only source of carbs. Many think they need to avoid carbs completely to be healthy or lose weight. The truth is, we need carbs for good health—we just need the right amounts of the right ones, like those found in non-starchy vegetables. Carbohydrates get converted into glucose (sugar) during digestion. Although the brain uses glucose for fuel for our body, too much of this type of fuel can lead to all sorts of diseases, including and especially type 2 diabetes—it’s no wonder nearly 1 in 3 Americans have it. Complex carbohydrates are starches with ‘long chains’ of glucose molecules. Examples include all types of grains—a major component of the standard American diet. “Starchy” vegetables such as peas, squash, white and sweet potatoes are just that—high in starch. Complex carbohydrates, as opposed to refined carbohydrates consist of whole grain (whole food). Simple carbohydrates are sugars found in foods such as table sugar, honey, dairy products, fruit and fruit juice. Simple carbs convert into glucose faster than complex carbs. Refined carbohydrates: These were whole food complex carbohydrates once upon a time, but then became processed and stripped of their nutrients by the food industry. Examples include refined white rice, refined flours (from grains) and refined white sugar. Like simple carbohydrates, refined carbs also convert into glucose faster than complex carbs. Research stemming from the specific carbohydrate diet or “SCD” (the original, successful treatment for celiac disease) and the elemental diet (used to treat patients hospitalized with Crohn’s disease) has shown carbohydrates classified as “single sugars,” scientifically known as monosaccharides are more favorable (especially for intestinal health), compared to carbohydrates classified as “two-sugar” disaccharides or “many-sugar” polysaccharides. 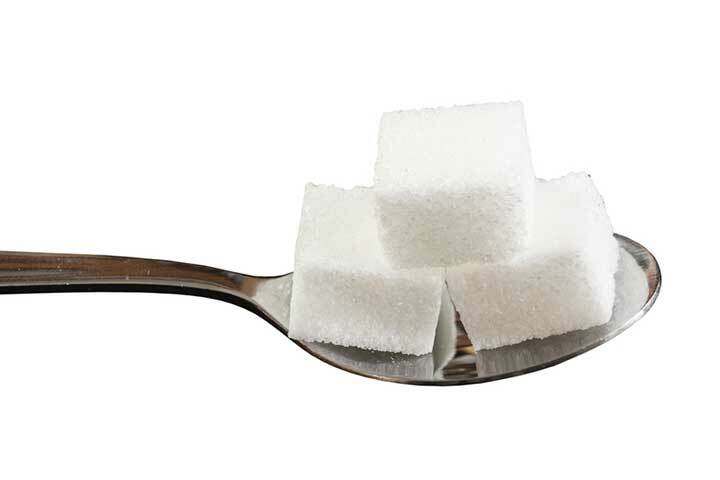 Examples of “single sugars” include those found in fruit, honey, some yogurts and many non-starchy vegetables. Table sugar is an example of a “2-sugar” disaccharide and grains are an example of a “many-sugar” polysaccharide. What Are Refined Carbs and Why Should We Care? The standard North American diet contains a large quantity of foods that have been processed—purposely changed in some way prior to consumption from their natural state. What we eat and the way it is processed has changed dramatically over the last 150 years, due to industrialization. Now the majority of our calories come from refined grains, sugars, and industrial seed oils. Mother Nature knows best: Our plate lacks the rainbow of colors and nutrients that nature provides. Refined carbs are highly processed—the original nutrients are lost or transformed and there are numerous health consequences. Food processing methods change ingredients taken from nature to alter their appearance, taste, texture and/or shelf life. Research shows processed foods and sugar disrupt the integrity of our gut microbiome and the “good” bacterium it contains, leading to a weakened immune system that sets the stage for disease. At least eighty percent of our immune system in housed in our microbiome—the body’s bacteria, in the gut. Processed carbs and other foods greatly contribute to an unbalanced microbiome (dysbiosis). Our refined carb, sugar filled diet is linked to chronic diseases such as cancer, diabetes, kidney disease, heart disease, neuropathy, retinopathy, age-related cognitive decline, digestive disorders and a slew of others. Genetics Can Determine Our Relationship to Starchy Carbs! Thanks to technology and the mapping of the human genome, we can now find out how well we deal with starch due to our genetics. The “AMY1 gene” codes for the enzyme that helps us digest starch. I recently took a nutrigenomics test and found out that I possess the “AA variant” of the AMY1 gene, which means I have a decreased ability to digest and metabolize starch. As a result, I need to avoid foods that are high in starch. Surprisingly, this genetic disadvantage affects 10 percent of the population. This statistic might in part help to explain obesity and diabetes rates. Since our ability to digest and metabolize starches is varied, the question of whether starchy carbohydrates should be kept in the diet is not a straightforward answer. I believe the true answer requires the analyzation of combination of factors, including medical history (e.g., do you have diabetes or food intolerances? ), genetics (do you possess a variant of the AMY1 gene?) and physical activity level. As far as refined carbs are concerned, it’s best to avoid them as much as possible. Prior to the industrial revolution, these foods were never part of our diet and they are not what nature intended. The best carbohydrates to keep in the diet include a wide variety of non-starchy vegetables, such as salad greens, asparagus, green beans, etc. Heavy processing often reduces or removes nutrients from the whole food, such as fats, fiber, vitamins and minerals. Some are processed by combining unhealthy ingredients such as sweeteners, industrial seed oils, food colors, and preservatives to improve taste and/or add visual appeal (e.g., rice, cake mixes, spice mixes, dressings and sauces). Many are very high in sugar: cereals, baked and frozen desserts, etc. Often contain more additives and preservatives. May contain hydrogenated oils (trans-fats) which clog arteries. Contribute to overeating and weight gain because you don’t feel as satisfied as with high-fiber, whole foods. May contain various chemicals that have been found to be carcinogenic. May contain additives or preservatives made from GMO (genetically modified organism) ingredients as they are cost-effective. Example: GMO soybean oil. Disrupt the gut microbiome and are associated with digestive disorders. 2 diabetes, add, age related cognitive decline, anticancer, antioxidant, bacteria, brain, calories, cancer, celiac, celiac disease, cognitive decline, dairy, diabetes, diet, digestion, digestive, digestive disorders, dysbiosis, fiber, food, food intolerances, glucose, good health, gut microbiome, health, heart disease, honey, immune system, intestinal health, Lose Weight, nutrients, nutritional requirements, obesity, obesity and diabetes, overeating, physical activity, phytonutrients, potatoes, preservatives, processed foods, protein, refined carbohydrates, refined carbs, refined grains, simple carbohydrates, sugar, type 2 diabetes, types of grains, vegetables, vitamins, vitamins and minerals, vitamins minerals, weight gain, western diet, whole food, whole grain. I thought you might be interested in this article on https://universityhealthnews.com: Refined Carbs: Are They Our Worst Enemy?